Mouse anti Human IgG1-Fc-CH2 antibody, clone NL16 recognises an epitope within the CH2 domain of the Fc region of human IgG1. Spleen cells from immunised Balb/c mice were fused with cells of the P3-NS1/Ag1 plamacytoma cell line. Lowe, J. et al. (1982) Monoclonal antibodies (McAbs) to determinants on human gamma chains: properties of antibodies showing subclass restriction or subclass specificity. Jefferis, R. et al.  (1985) Evaluation of monoclonal antibodies having specificity for human IgG sub-classes: results of an IUIS/WHO collaborative study. Immunol Lett. 10 (3-4): 223-52. Hussain, R. et al. (1986) Use of monoclonal antibodies to quantify subclasses of human IgG. I. Development of two-site immunoenzymometric assays for total IgG subclass determinations. J Immunol Methods. 93 (1): 89-96.